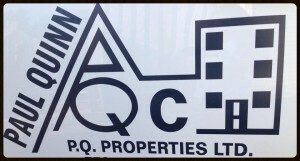 Paul Quinn, owner of PQ Properties Ltd, has been a successful property developer and home builder throughout Pictou County, Nova Scotia for more than 20 years. With over 200 expertly crafted homes to his credit during his career, he is supported by a vast collection of satisfied new home customers. With his trusted team of skilled tradespeople and their combined approach to precision and efficiency, clients of PQ Properties are able to enjoy their new home on schedule and within the budget that best suits their unique requirements. Each project is given the same attention to detail and superior customer service. Having trained with the Atlantic Home Builder’s Association and Lux Residential Home Warranty Program clients have the added confidence of having their construction project handled by currently trained and knowledgeable professionals. Experts in energy efficiency and contemporary design practices ensures a finished product of exceptional quality and value. In addition to construction and renovation services, PQ Properties offers more than 100 residential rental units within New Glasgow and the surrounding areas. Each rental home is consistently well maintained with service requests promptly attended to. Two distinct developments offer tasteful and serene living options for senior residents. Commercial spaces are also available to serve the needs of new or transitioning businesses. Vision, dedication and consistent success has brought Paul Quinn and PQ Properties to the forefront of residential development in our community. We look forward to meeting with you to discuss how our unmatched level of service can bring you closer to the most comfortable place for you to call “home”.